Ruktai “Ace” Prurapark, a petroleum engineer who earned masters and doctoral degrees from Texas A&M University, served as a drilling engineer on the team that rescued a boys soccer team and their coach from Tham Luang Nang Non cave in Thailand’s Chiang Rai Province in June. Aggies who remembered Prurapark from his time on campus recognized him when he appeared in a July 7 segment on ABC News. Prurapark earned a master’s degree in petroleum engineering in 2005 and a Ph.D. in the same field from Texas A&M. After earning his Ph.D. he joined Schlumberger Well Service Company for three years, and later the World Bank in Washington D.C. as a consultant before moving back to Thailand in 2012. During his time at Texas A&M he said he learned valuable lessons in risk assessment and the importance of selfless service. “As an Aggie we always learn to use our knowledge to serve the community in any way. This is our highest aim. Furthermore, the petroleum engineering knowledge that I learned from Texas A&M University is helping me a lot and as an Aggie we won’t stop until we complete the mission,” he said. Prurapark said he was working as a professor at Srinakharinwirot University as the head of the International School of Engineering and on an energy subcommittee in the Thai Senate, where he served as a representative from the Ministry of Natural Resources, when he had the opportunity to volunteer on the rescue mission. 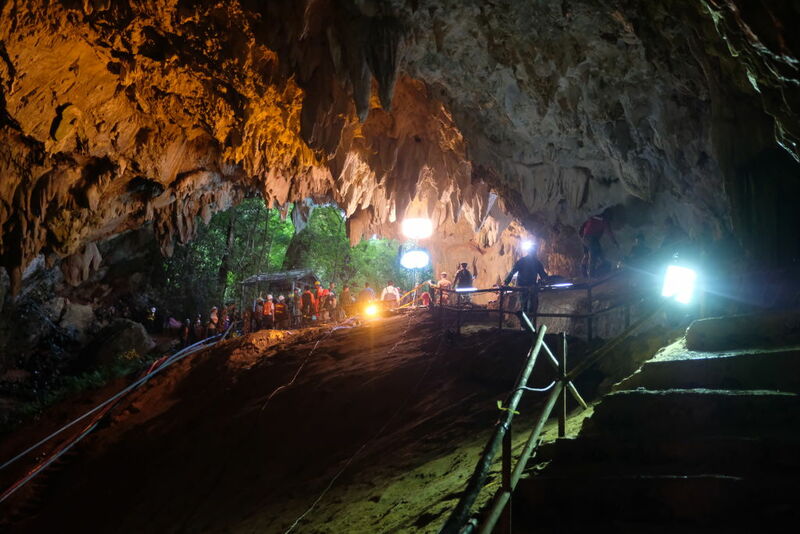 During his five days working on the rescue mission, his team was responsible for drilling to feed air and drain water inside of the cave and develop a backup plan, which included drilling a large hole into the cave to bring the children out. In the time Prurapark was on location, the children were found and the first group of children were rescued from the cave. Prurapark has since returned to his teaching and advisory duties, but also hopes to return to College Station for a visit.